Welcome to our page! We feel we have what it takes to be a good "Room Mate"
We have been in business since 1986. 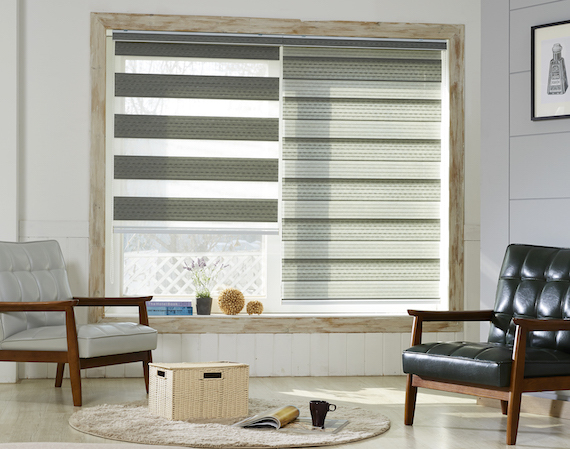 This gives us over 25 years of experience and expertise in the window treatment industry. When you work in Santa Barbara, California your sense of style is crucial to a successful business. The design and decor of your home tells the story of your personaility. Our project samples and photos will show you we have what it takes to style your home. With over 25 years of experience, we have learned being on site really makes the difference. Why leave your reputation in someone elses hands? We complete our own installations and stay on-site from beginning to end. This ensures that job is done right and our customers are 100% satisfied. If you are looking for new blinds, shades, shutters or drapery and are in the Santa Barbara, California or surrounding area, contact us today for a free in-home consultation. Verticals aren't the only choice for sliding glass doors anymore! Panel track window treatments allow for decorative roller shades, naturally beatuiful woven woods, energy-efficient cellular shades, or practical screen shades to be used in a vertical application. Ideal for sliding glass doors or for use as a room divider, panel tracks allow for a much wider array of options, and a highly customized window treatment for your space. Contents copyright ©2019 Room Mates. All rights reserved. Room Mates is a Skandia Window Fashions Premier Dealer.